There's probably been a watermill on this site since the early 12th century when the St Cross Priory was established on the banks of the Luckly Brook. In the mid 14th century, the Priory was sequestered by the Bishop of Winchester when the mill was in a ruinous state - later the Priory was obtained by Winchester College and the mill was rebuilt. 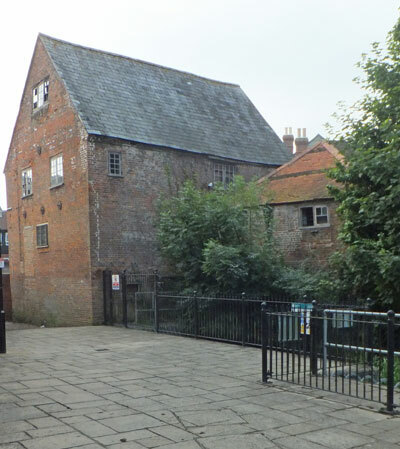 In 1939 the mill was acquired by the neighbouring Mew Langton Brewery - more for the other buildings than to actually operate the mill. Today, the brewery is gone but the mill still survives although surrounded by unsympathetic modern developments.